Reg $26. 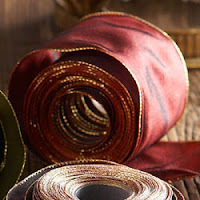 Not sure which color this is (looks like red, maybe), but it's a good deal for 20 yards of fancy 2.5"-width ribbon. Wrap presents. Wrap your stapler. Wrap your cat! Whatever. From Wisteria.